When you think of the term “malpractice,” the first thing that usually comes to mind is a botched medical treatment. While malpractice most definitely occurs in the medical field, it can occur in the dental and legal professions as well. Malpractice is defined as “professional misconduct.” That conduct can be either intentional or unintentional, but the aftermath is the same: whether it is medical, dental or legal malpractice, the victim suffers serious or significant physical or financial hardships. To recover damages for those hardships, you need the representation of an attorney experienced in malpractice suits. Laws outlining what constitutes an act of malpractice vary from state to state. Generally, however, it is not enough to be dissatisfied with the service you received to claim malpractice, and general mistakes will not constitute a malpractice action. 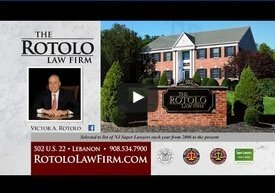 Victor Rotolo, founder of Rotolo Karch Law, is certified by the Supreme Court of New Jersey as a Civil Trial Attorney. He and the other attorneys at the Firm are experienced in this area of law and ready to defend your case. To have a legitimate malpractice case you must first prove you suffered serious injury as a result of a specific action and that that action was, intentionally or unintentionally, an action that another professional in the field would not have performed under the same circumstances. When you hire the services of a professional in either the healthcare or legal field, you have a certain expectation of results. When those services do not meet your expectations and, worse, result in physical or financial harm, your emotions can get in the way of you successfully attaining retribution. If you believe you are the victim of malpractice, you need an attorney to help you see the circumstances of your case clearly. Two things are necessary to make a successful malpractice claim. First, you must prove that you sustained either a physical or monetary injury; and, second, that the injury resulted from the misconduct of a professional whose services you retained. Our experienced attorneys will defend your rights in court. They will research your case to determine if your injury was one that could have been avoided if the professional in question used higher standards, comparing that professional’s practices with those of similar professionals in his or her field. Contact the experienced malpractice attorneys at Rotolo Karch Law.